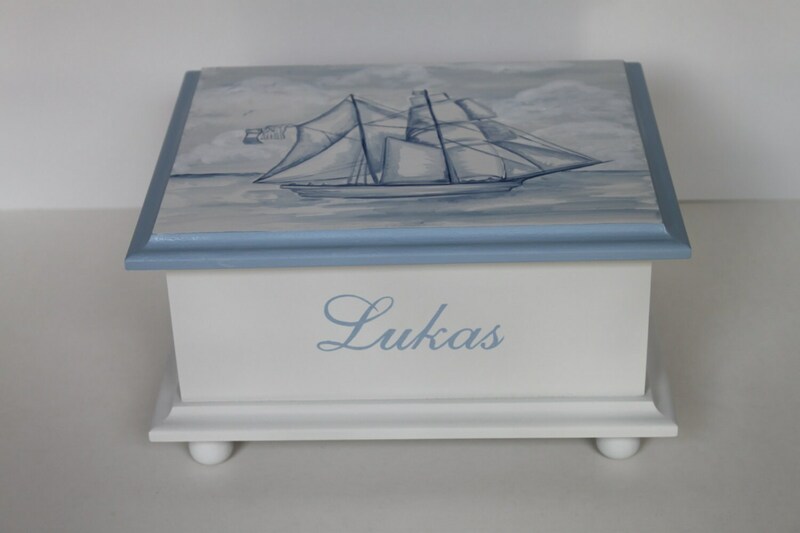 A hand painted keepsake box makes the perfect gift for any special occasion. Each all wood box measures 10" x 8" x 6" (8" x 6"x 3.25" inside) and comes with an acid free envelope on the inside lid for paper memorabilia/photo. There is a fabric liner in the bottom of the box. Boxes may be personalized with a name and/or date. Made in the USA.